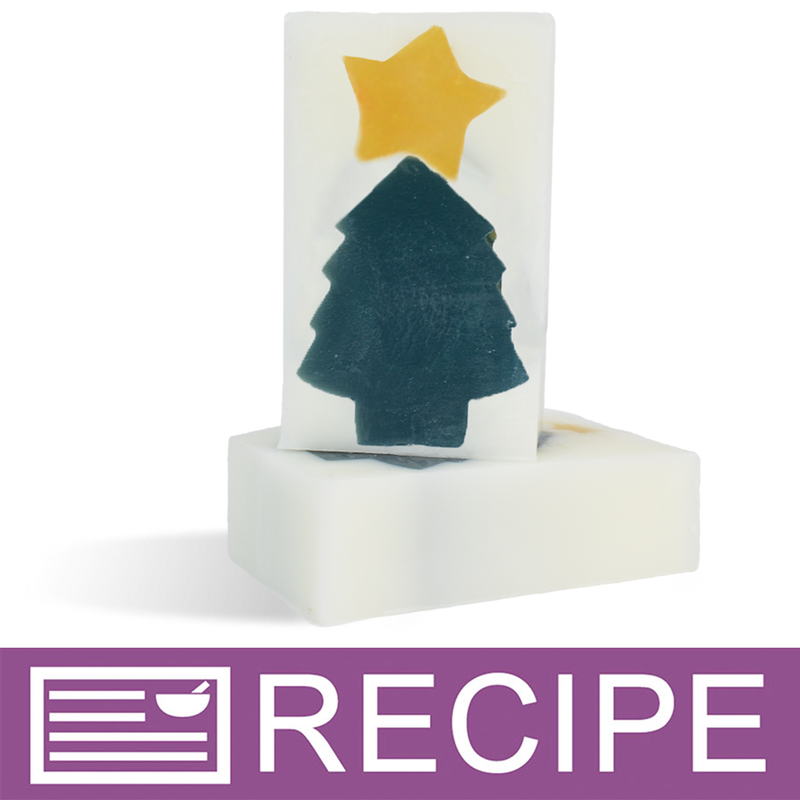 Give your children or students gold stars with handmade bars of soap made from this mold! 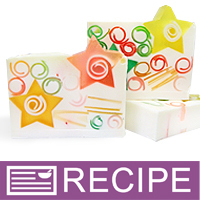 This mold can also be used around the holidays or Fourth of July. Embed fits in Crafter’s Choice Regular Loaf Silicone Mold 1501 and Rectangle Regular Column Silicone Soap Mold 2009. COMMENTS: I had been eyeing this mold for a while, and when it went on sale, I grabbed it. I have not been disappointed; it makes creating loaves with star embeds so easy! You do need to make sure that the mold is fully sealed before pouring, but once you do that, it works like a dream. I've made superhero soap with this, and keep finding new uses for the star design. I only wish it were a little longer, so the star embed would completely fill a 2-pound loaf mold; as it is, it comes up a bit short. Other than that, though, I am very happy with this mold! COMMENTS: Makes a perfect large star for soap loaves! COMMENTS: I just used this mold this weekend to make a star embed for 4th of July soap. It was easy to lock, fill and release. This was the first time I used this type of mold and it was great. COMMENTS: Fun mold to make embeds with. Love getting creative with these type of molds. Works great for both glycerin and cold process soap. "Great Mold for making embeds"
COMMENTS: Very easy to use and seals very well. Works with either M&P or CP soap. 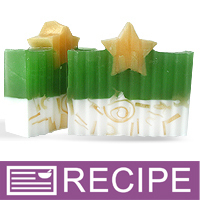 An easy way to add design elements to any soap. COMMENTS: I had no problems with this mold. I just made sure it was snapped in very well. I like to make stars soaps for my little girls. "as good as you can get"
COMMENTS: Great mold. Easy to use. I used a binder clip to hold everything closed just in cast of leaks. COMMENTS: I had a hard time getting this mold to come open once I poured my soap into it. When I did get it open, my soap stuck to the mold. WSP Response: If you are using this mold when making CP soap, additional drying time may be required. "Perfect for making soap pretty"
COMMENTS: This works very well as long as you make sure the seal is tight, and you pour at under 120 degrees. Easy to unmold, and use in loaf molds. COMMENTS: I used this for an embed in cold process soap. I followed the advice of some other reviewers and clamped the sides and bottom with paper pinch clamps. 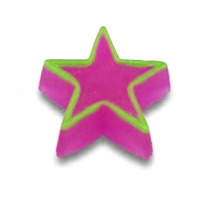 When using these I had no leakage and the star seemed to release from the mold easier. After making my fourth batch, I got lazy and didn't clamp as well and had leakage and the star didn't release as easily from the mold. I think freezing the soap before removing will help with this next time. It would be nice if the mold were longer so the embed fits a 2 pound log mold. Other than that it makes a nice embed for cold process soap! COMMENTS: It turned out just as I wanted. Easy Peasy! "it works well but could be better"
COMMENTS: Just got these in and will be making embeds today. They are the perfect size for my bars. I keep saying this on other reviews of the other shapes, but my mind is full of ideas for these. That is a good thing. Wish I had more of them. They are well made. You can clip the sides with clothes pins or use a rubber band for extra security if you are worried about leaking. They should not leak at all if you have pressed ALL the sides together properly before filling. As I was preparing mine for my project in a few minutes, I thought I had sealed it well. But when I double checked it, I had missed a small area. Glad I checked it again before filling it. 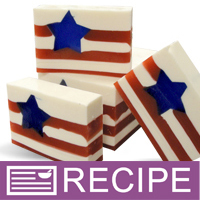 COMMENTS: I have some soap molded and ready to use as embeds in my patriotic soaps for summer. These column molds are much easier to use than the other silicone molds that you have to push all the way out. I haven't had any trouble with these at all. COMMENTS: This is a very sturdy mold. It seals in the soap and there is no leakage. Its very easy to unmold as well. Fits perfectly in Silicone loaf mold 1501 if you are using it for an embed. 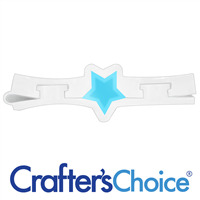 "I love this silicone mold"
COMMENTS: It has the perfect size to use with the other embeds and the regular mold! COMMENTS: I love love love these column molds! 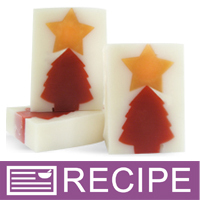 They make the soap look great and are easy to use! I hope they bring in more!! "Can I use detergent free melt and pour to make imbeds for CP soap? Will they adhere once the loaf has cured? Or will the M&P "separate" from the CP? Thanks, Connie "
Staff Answer Connie, many people make MP embeds and put them in their CP soap. The embeds will adhere fine to the CP soap. "What are the volumes on your tube molds? Specifically the star tube mold. I am trying to calculate my CP recipe which I always tailor to the volume of my molds." Staff Answer The star tube mold holds approximately 10 fluid oz. A column of MP soap weighs approximately 7 ounces. "Can this be used with cp soap?"